Roscommon is lamb country and it doesn’t get any better than ours. Grass fed, roaming free, reared with care and cooked with love. Here at Gleesons Restaurant & Rooms in Roscommon we pride ourselves on the quality of our raw ingredients. We’re lucky to be surrounded by amazing producers and they inspire every dish on our menu. Handmade, homemade and every plate prepared with passion. Whether you fancy a hearty breakfast, a quick bite, something clean and green or fancy going ‘all out’ for some serious flavour, you’ll find it all on our menu. You can save the best for last but when everything is so good, you’re just missing out. Our advice is ‘go big’. Treat yourself to something sweet. All our desserts are handmade and homemade, a feast for your eyes and smile for your face. Enjoy your favourite or pick some to share. Enjoy the welcoming and relaxed atmosphere of our fully licensed Manse Restaurant, unwind with a glass of wine or browse our drinks menu and enjoy at the bar or beside the open fire in the lounge! When dining at Gleesons Restaurant and Rooms you will experience the best cuts of beef in Roscommon, supplied by local butcher's Tommy Madden's Meats. Our chicken is locally sourced from Ray Gannon, who holds a stall at the Roscommon Farmer's Market every Saturday in The Square, only a stone's throw from Gleesons Restaurant & Rooms. Gannon's Eggs are locally produced, organic, free range products which fits with our ethos at Gleesons Restaurant & Rooms of offering the highest quality local produce on our menus. 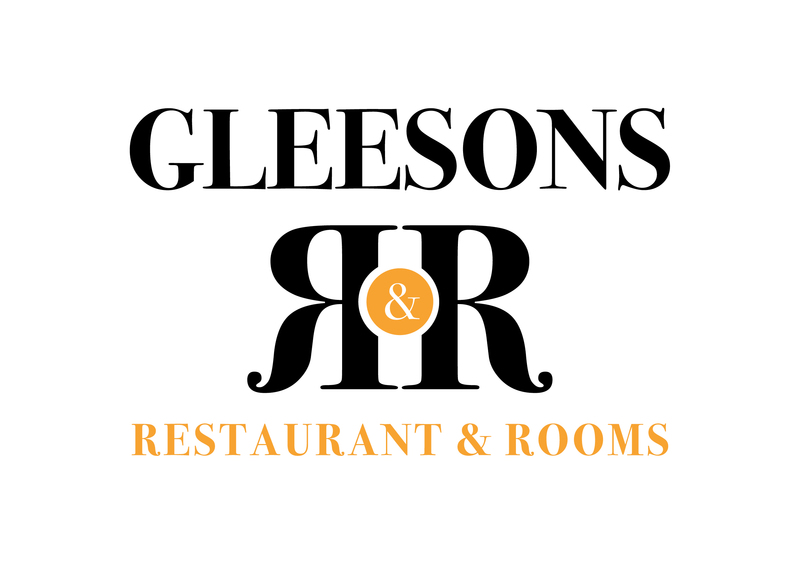 So when looking for local place to eat in Roscommon, Gleesons Restaurant and Rooms provides a truly unique dining experience. And why not also have a look at our great value special offers on hotel rooms including excellent value bed & breakfast and dining packages.